Global Service: Low-to-zero latency and globally available. Scales to Demand: Performance-minded, quality of service under any load. Relevant Expertise: Superior service, backed by people with broad functional expertise. Security-minded: Best practices to ensure services, data and processes do not expose vulnerabilities. Great API(s): Well documented, consistently implemented, easy-to-use, clean APIs. Actionable Service: Providing developers/business access to data allowing them to be proactive vs reactive. Comprehensive Documentation: Accurate, timely, navigable, digestible documentation. Responsive Support: Prompt, responsive answers to people’s questions and issues. What best-practices are used in developing SparkPost? Since I have started at SparkPost, I have been very impressed at the quality of our engineering team. They have perfected an Agile implementation which empowers them to be unbelievably responsive. This may not seem very important, but it is responsible for our ability to provide better support and resolve issues in production faster than our competition. API-First Development: Our app is built upon our existing APIs, the same APIs we provide our customers. Test-Driven Development: Both the SparkPost application and its APIs have a very high percentage of code-coverage, improving reliability. Forward-thinking Development: SparkPost is built using AngularJS, using a single-page approach and will grow into the future. Passionate Development: SparkPost engineers are passionate, and love building great software! Developers and businesses alike expect their email (especially transactional email) to arrive in their customer’s inbox in the correct location, in a timely and secure manner. A great example of how this situation can go wrong was given to me by our Director of Industry Relations, earlier today. 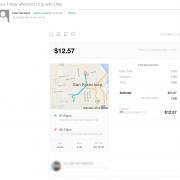 He purchased a ride share on December 12th, but he didn’t receive the receipt for his ride until the following day. 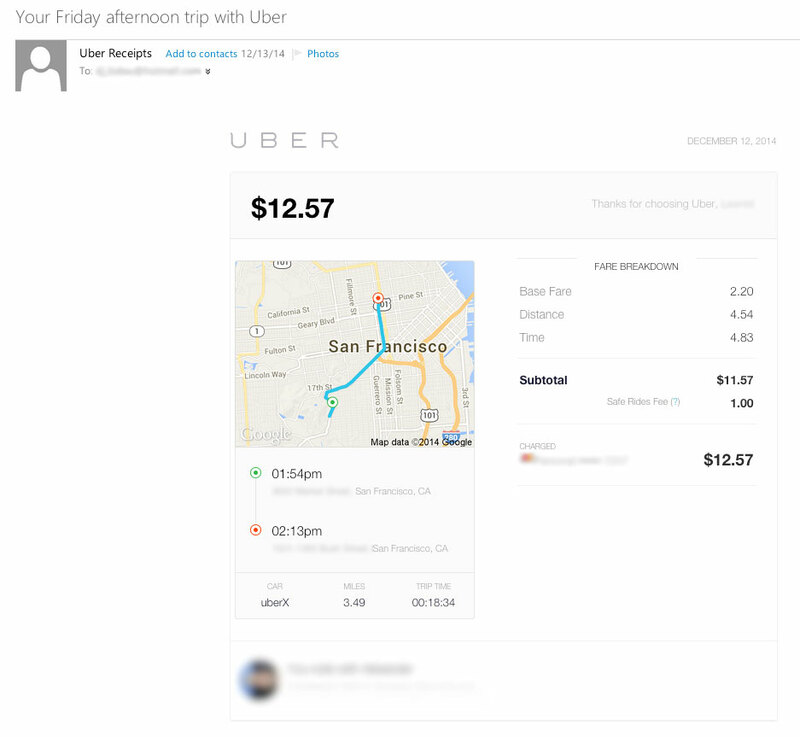 This was NOT a failure by the rideshare company…it was a failure by the transactional email service they are using. You can click the image to the left to see how this is a perfect example of transactional email SaaS failing their customers. SparkPost has a contingency for these types of problems. A developer using SparkPost could use our Webhooks API which would make it easy for them to proactively recognize that this email was not received by the customer. Developers could then build out in their application functionality to share this data with their customer on another channel like SMS or Mobile Push perhaps. Developers and your customers count on systems that are easy-to-use, robust and are built for their needs in both the short/long term which meet the demands of end-users. We are building SparkPost to achieve all of these goals to make our developers be heroes for their customers!